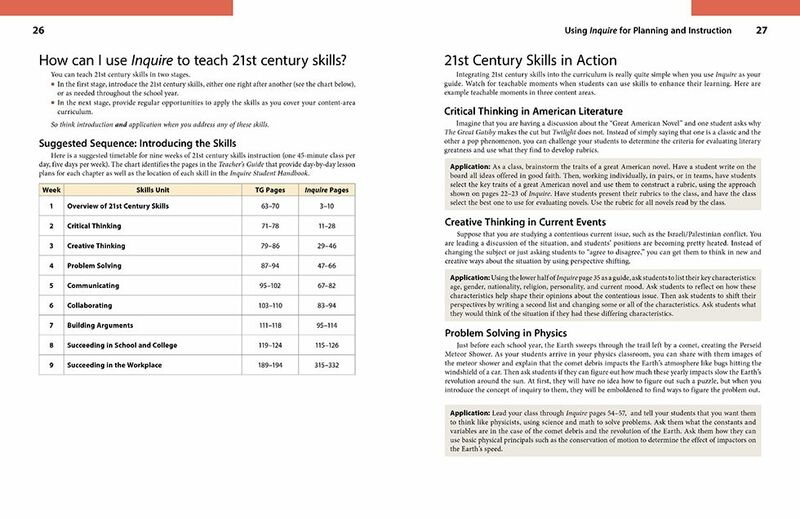 The Inquire High School Teacher's Guide (Grades 9-12) provides you all the support you need to use the student handbook to teach 21st century skills, traditional study skills, the inquiry process, and project-based instruction. 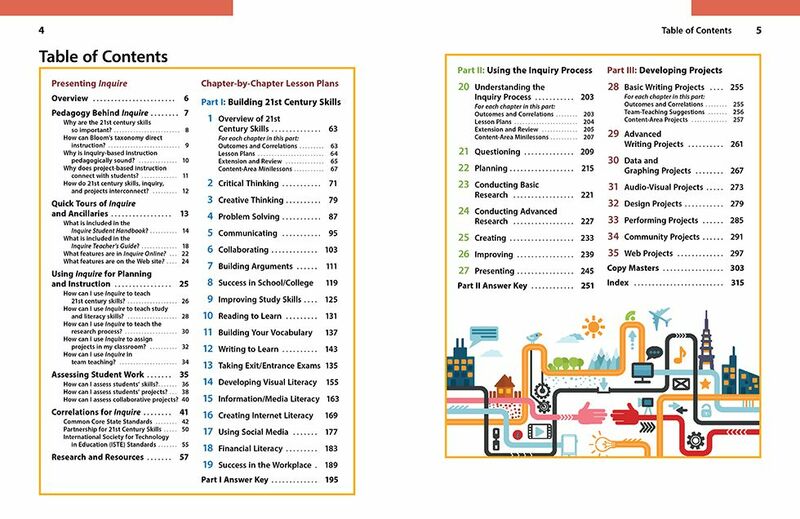 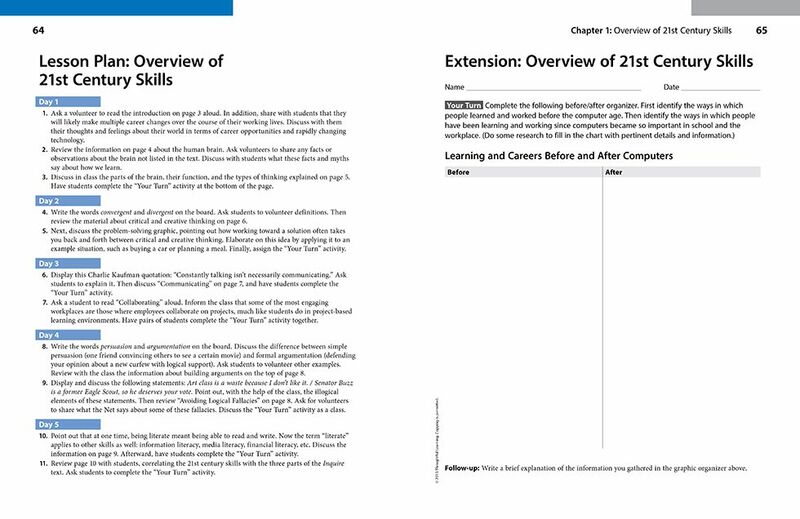 For every chapter, you'll find learning outcomes and standards correlations, daily lesson plans, extension and review activities, and content-area minilessons. 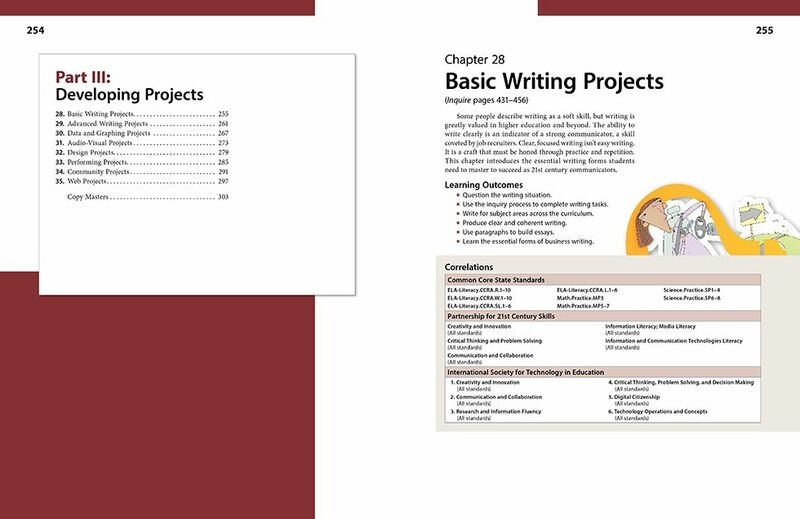 See the Inquire High School Student Handbook. 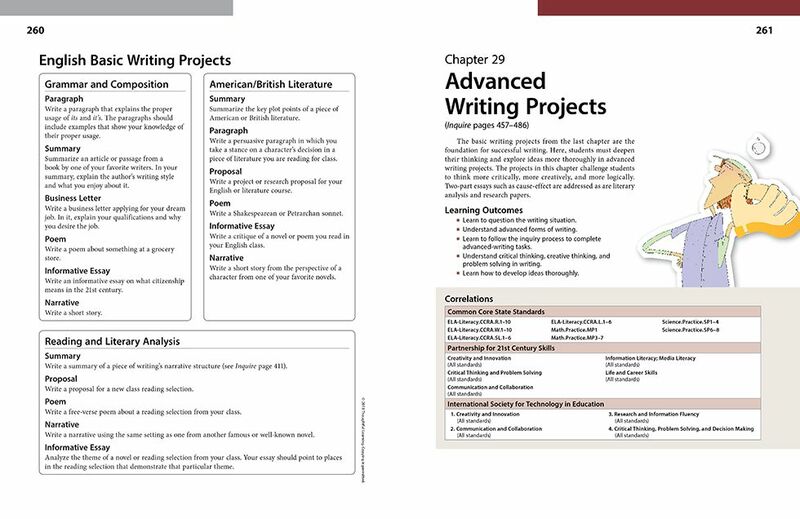 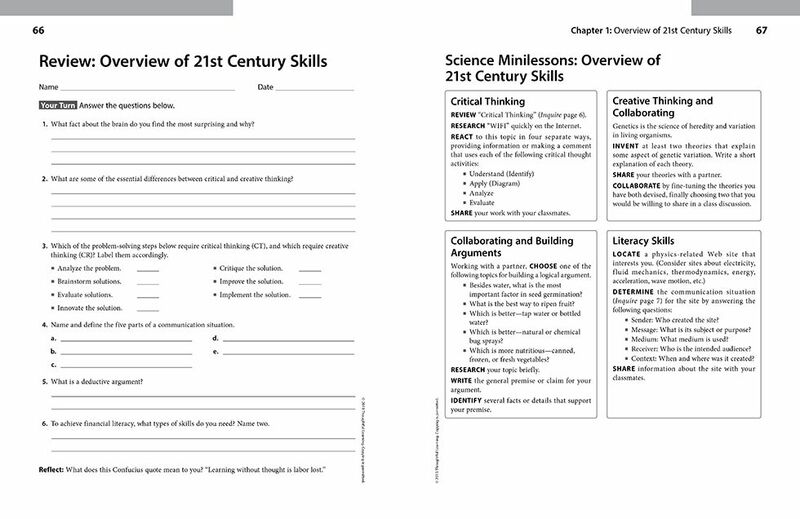 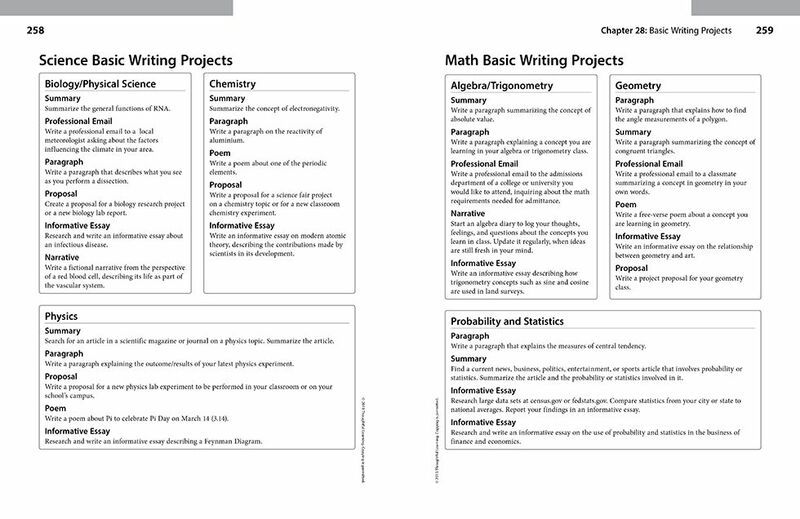 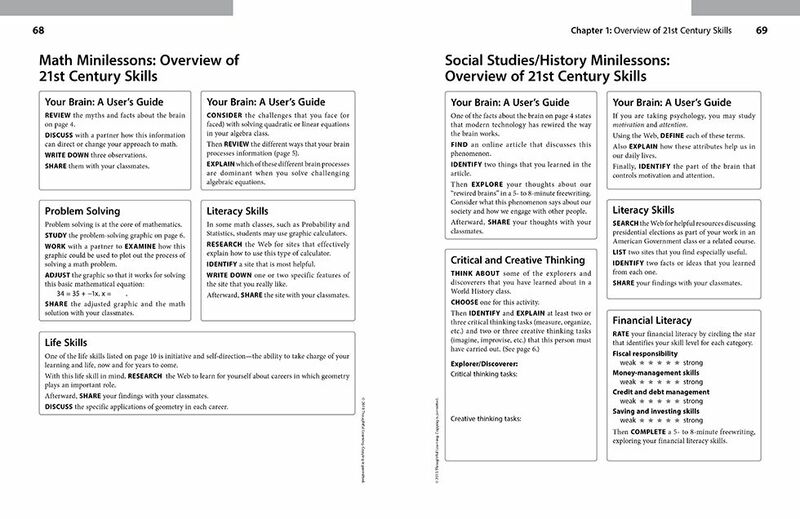 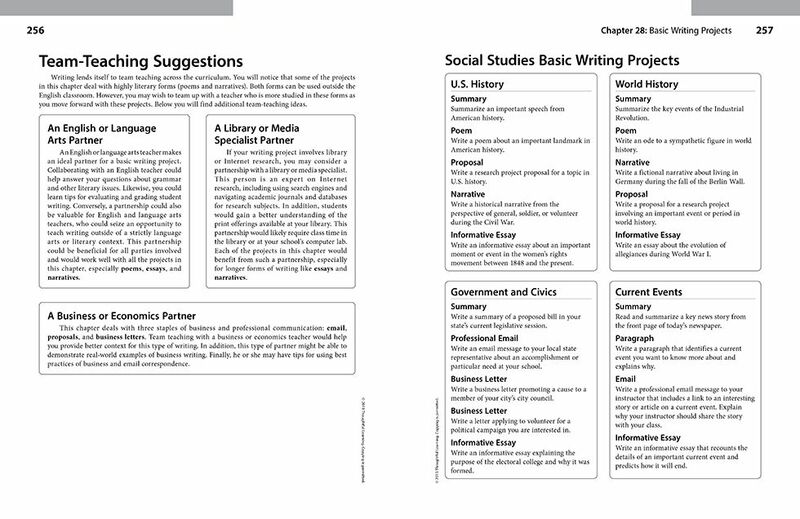 For free downloadable templates, additional models, and links to great sites, check out the handbook additional resources and the teacher's guide additional resources.